Love this look with the turquoise caridgan, looks so wonderful fresh! I love your rainbow collage of cardigans! As a teacher, my cardigans are like gold! I’m wearing something very similar today! Same cardigan, black skinny jeans, white blouse with black polka dots 🙂 Definitely a go-to outfit for me! It’s always so darn cold in my office, otherwise I would wear skirts more often, but it’s a bonafide icebox in here most days lol. My office is similar. I have a heavy boyfriend cardigan at my desk at all times. Sometimes to wear and others to drape over my lets. Geeze it’s already 90 degrees outside – it doesn’t need to be 60 inside! I use the same formula often, but with a more formal work environment, I use Blazers instead of cardigans. Love this color combination! I have to say that I absolutely LOVE your posts. 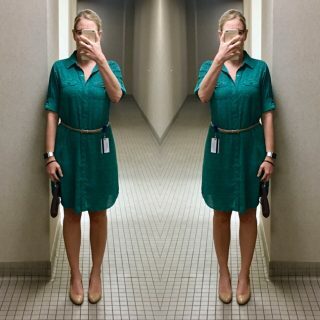 I think you really have a great grasp on the working woman’s wardrobe, and have a seriously quick and easy recipe for what works for the work environment. You have been my go-to guide for work outfits since I’ve gotten a professional job that DOESN’T (finally, thank goodness) require a uniform, and I have to say, you always seem to come up with great looks using the same stuff. No one knows you’re wearing half the same things most of the time! Keep up the good work! You’ve definitely got a loyal follower in me! I agree! 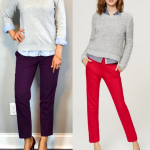 I struggle with finding a wardrobe that doesn’t make me feel old (another mid-30’s software project manager). 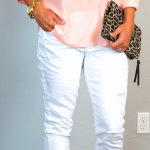 I absolutely love this blog for outfit ideas that are professional and age-appropriate. My current job allows for jeans each day but many of the higher ups don’t wear jeans, so its good to dress for the job you want, not the job you have. The formulas are super helpful. 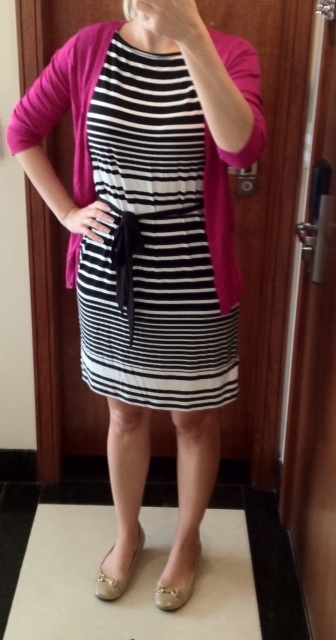 Today I followed the print dress formula. Super easy and professional! When I first found your blog, it made me excited to see a female software engineer turned PM who cares about how they look! I was super excited by it! 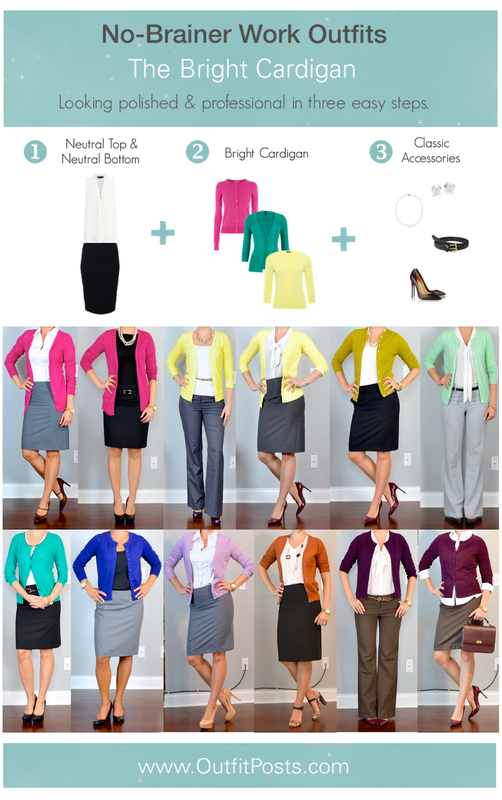 I love that pencil skirt and it’s super cute paired with the bright cardigan and snake skin heels – LOVE IT! I love the cardigan and necklace together! Do you think the color of your cardigan is the “classic emerald” listed on the site, or are they just not listing your teal color anymore? The emerald is the closest color I see to your cardigan from the photo. Also, I had realized this morning that I hadn’t been seeing your posts in my feed. I typed in your URL and noticed you have a new website…so I’ve resubscribed. Love your outfits! I think my cardigan is a different bluer color? But the ‘classic emerald’ looks really pretty! Glad you were able to find me after the move!! I just don’t understand the point of blogging about your style if it’s so basic. May as well have a bunch of pictures of Old Navy mannequins posing in front of a wall with a cable cord.